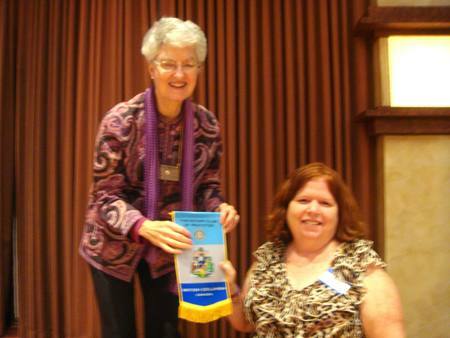 President Peggy began today’s meeting of the “Finest” Rotary Club in District 5130 with her usual beautiful smile! This seems to be a pleasant recurring theme! Our president exudes positivity! 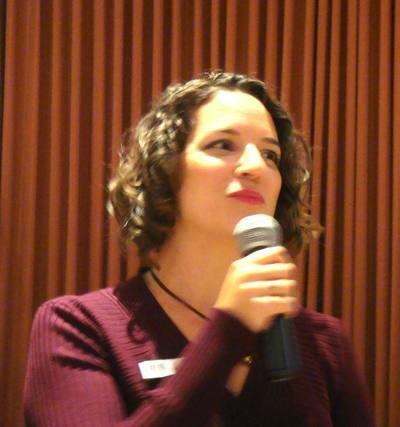 The pledge was led in absentia by Carrie Ludtke. Hey, we followed her and said it anyway! Bob Sorenson forgot his invocation notes, but did a great job of winging it. Penny Tibbetts had no cloudy news to report. We had several visitors from other clubs. Unfortunately, the sign up list mysteriously disappeared by the end of the meeting and this writer did not catch all the names. 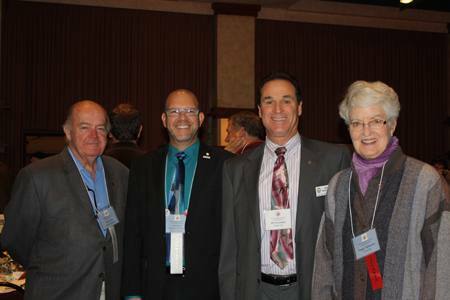 Alan Bertozzi was visiting from Sebastopol, Paul Caylor from Cloverdale, as well as Barb Hoolaeff, from a club in British Columbia. Barb presented our president with a banner from her home club. There may have been others, but I was really counting on that list for correct names and spellings! Chris Coursey, former PD columnist and current candidate for city council was on hand today. In addition, Scott and Joel Butler were guests of Sonja Butler. Troy Ingold of Walgreen’s was a guest of Jack Abercrombie and Past President Bill Rousseau hosted Diana Ramirez from Senator Noreen Evan’s office. Tim Delaney gives guest Diana Ramirez a chance to win $834! Tim Delaney tried, but he couldn’t give away the millions of dollars that have accumulated in our Club’s “Pick a joker” sweepstakes began. Guest Diana Ramirez had a shot (ok, it was only $834, not millions) at the lucky joker, but had to settle for the $10 consolation prize when she drew the three of spades. President Peggy handed over the podium microphone to Darren Elliott who described the ideas being discussed for promoting our club within the community. Darren announced that he and his energetic Marketing Committee are putting the final touches on their pre-luncheon slideshow presentation. The entertaining and informative presentation will air each Wednesday between 11:45am and 12:25pm, and serve to keep club members in touch with club events, committees, and club updates. Darren said,”This is the first of several exciting programs you will see from this committee”, but he did stress that the success of these programs will greatly depend on the support of the club. NOTE: The deadline to submit committee updates is November 6, 2013 at 5pm. Speaking of club communication……Here at the Santa Rosarian, we are always looking for new ideas to increase readership and better inform our club members of club activities. Be sure to let us know when your committee has information to share for inclusion in our newsletter. We have also been thinking it might be good to have our club members (especially newer members) share their interests and passions so that we might get to know them better. 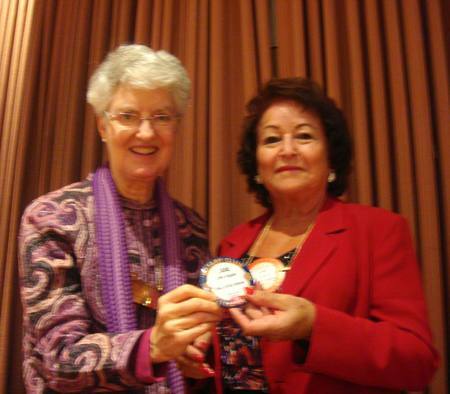 Many of our older Rotarians also have incredible personal stories as well. If you have an interesting story or passion to share, please contact myself or Jim Johnson, who is now concentrating on feature writing and club historical articles, such as the feature below on the history of this publication. The bulletin of the Rotary Club of Santa Rosa began more than 90 years ago as a one page handwritten record of weekly attendance. It immediately began to grow along with this Rotary Club along with spurts of print technology advancements during the post-war years and the revolutionary growth of mass communications. Through it all, our Rotary Club scrambled to take advantage of the changes, while the weekly bulletin kept the old name from the thirties, The Santa Rosarian. 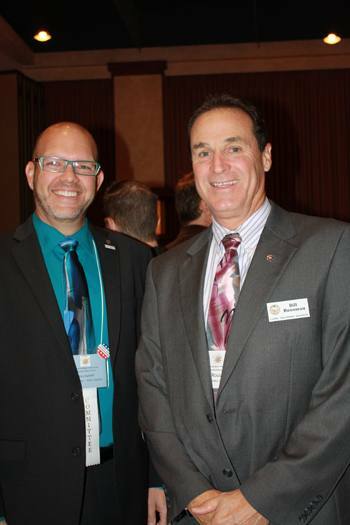 A few years into the new century, several Rotarians, including Yale Abrams, Kris Anderson, Layne Bowen, Matt Everson, Jim Johnson, and a few others became more involved in the weekly bulletin, Dan & Greg Johnston at A. J. Printing come up with a new design and Susan O’Rourke was hired to add her skills to layout, graphics, and design, color was added, and in in 2009 the bulletin expanded to four pages in a magazine style that featured the old Santa Rosarian name in the masthead. Because The Santa Rosarian is an “online’ publication now, we can include as much content as we want. This allows for more photos and features specific to our club and district. Be sure to scroll all the way to the bottom of each issue for information on future programs and events. Today, The Santa Rosarian continues to evolve and will be adding some new features. Our goal is to make The Santa Rosarian more than a chronicle of each week’s meeting activities, but also a source of information about all our club’s activities, its history and its interesting members, past and present. Vicki Hardcastle reminded club members that Thursday is the last day to make $100 and over Paul Harris donations that will be matched by the club foundation. Ted Wilmsen also reminded club members that time is running out if you know someone who is seeking financial support in the way of Rotary Club Foundation grants.The grant money is there, but applications must be made soon. 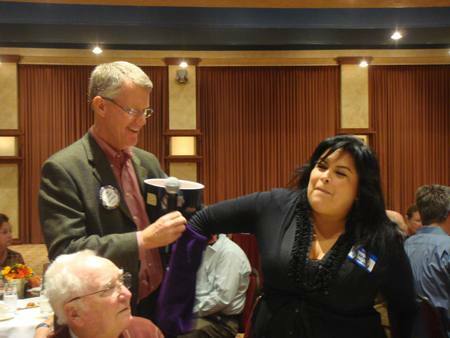 Doug Johnson showed the membership how monthly $10 donations can be made automatically through the Rotary website. When you’re Wonder Woman, everything is easy! Jane Duggan, true to her superwoman designation, achieved her blue badge quickly, as expected. Good work, Jane! Taking advantage of the technology available, President Peggy used the computer and screen to show photos and videos of Rotarians in action. The Prez acknowledged our Rotarians’ involvement in the Employers Best Practices Awards breakfast this morning in this same Flamingo Hotel ballroom. The event is sponsored by the Sonoma County Mayors Committee of People With Disabilities. Santa Rosa Rotary Club’s Disability Awareness Committee, chaired by Mike Kalhoff supports this event with our club providing $500 in funding for the award trophies. President Peggy also seemed to enjoy showing photos of the Rotarians who participated in the YMCA Golf Tournament. Past Presidents Ray Dorfman and YMCA President David Brown participated in the putting contest that preceded the golf tournament. There were six foursomes from our club represented in the tournament. President Peggy then showed us some cool video of our own Craig Meltzner as he contra-danced into view. Craig has been contra-dancing (it’s a form of dance originating in New England (with roots in the British Isles) for years and encouraged anyone who might be interested to join in the fun. Dances are held around the north bay, with the closest one held monthly at Monroe Hall on West College Ave.
Gesine Franchetti was recognized for opening another location on Dutton Avenue for the lunch crowd and her thriving catering business. She donated $75 to the club. Mark Burchill shared his vacation experience first in the Berkshires and then as a working lighthouse keeper in Rhode Island. He also visited the famous Cheers pub in Boston just off Boston Common. We received no word as to whether everyone knew his name when he entered the establishment. Mark donated $300 to his father’s Paul Harris. 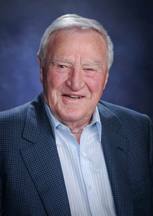 Paul Hamilton is living large through the exploits of his grandchildren. First, we saw a photo of him posing with his grandson Cade, who hit two home runs for his traveling baseball team. Granddaughter Brooke was then seen in a photo wearing a cheer leading uniform. Finally, Paul shared that he is celebrating his 35th wedding anniversary to his wife, Lin. Paul cheerfully donated $50 each to Brooke’s and Cade’s Paul Harris! Today’s speaker was Cat Cvengros, MBA and Development Director of Social Advocates for Youth (SAY). As a Peace Corp worker in Armenia, Cat worked with a Rotary Club from Pennsylvania in distributing donated eye glasses. An energetic and passionate speaker, Cat shared the vision and challenges SAY faces in development of the former Warrack Hospital site in Bennett Valley into offices and, more importantly, an affordable housing option for young adults trying to get off the street and make a productive life. SAY is a 42 year old organization that was founded to provide help to young people who had hit rock bottom. Many were from dysfunctional home situations and some had aged out of the foster care system and had little money or job prospects. SAY clients are 5 -24 years old. Currently, SAY serves over 2,000 children and youth, providing counseling, housing and jobs. SAY facilities include: The Coffee Teen Shelter which serves 12-17 year olds. Tamayo Village provides affordable housing to 18-24 year olds and Stepping Stone provides services for 18-21 year old kids from the foster care system. A census of homeless youth taken by SAY in 2009 showed that there were 269 homeless youth and children in Santa Rosa. A 2011 census showed that number increase to 721 and a 2013 census saw the number swell to 1,128. When asked if this was the result of an influx from outside our area, Cat noted that only a small percentage are from out of the area – in other words this is a home-grown problem. Cat took the time to explain that SAY has been a good neighbor in the areas where they currently run facilities. She explained how the Warrack campus, which was donated by Sutter Medical Center (to be called the Dream Center), would be used. The plan calls for SAY offices to be moved from their current Airway Drive location and for the former patient rooms to be converted to affordable housing for up to 63 people. Cat emphasized that those who are served by SAY want a better life, jobs, and are motivated. Besides affordable housing, the Dream Center will provide job training, educational services, and health services. A site tour of the facility will be open to the public on Thursday November 14th at 6pm. Pledge: Carrie Ludtke who led from an undisclosed location…..